Annual Awards Reception – CAP Services Inc. There is no charge to attend.You are welcome to bring a guest. Please include them in your RSVP total. RSVP no later than Friday, May 19, to Matthew Brown at mbrown@capmail.org, 715-343-7516, or online. We will be holding a silent auction to help raise money for CAP Services. Donation envelopes will also be available at the event. Online RSVPs are now closed. 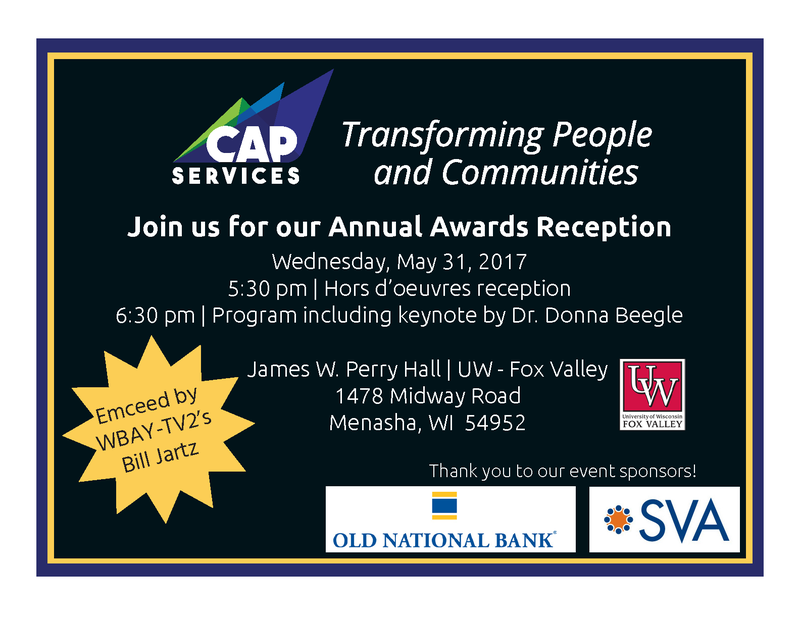 If you have questions contact Matthew Brown at mbrown@capmail.org, 715-343-7516.